Bertrand Bonello's stunning film about seven young radicals who execute a series of bombings in Paris, before holing up in a downtown department store, is one of the most devastating and haunting portraits of modern radicalism ever put to film. These seven young people, of varying ethnic backgrounds, are homegrown terrorists with no real end-game or clear-cut ideology. The acts of terror they commit are only referred to as "what we had to do," and Bonello cleverly leaves the "why they had to do it" part conspicuously absent. Every action is cut for maximum psychological tension, from the opening buildup to the act itself (often executed without dialogue, through rhythmic editing jumping back and forth through time), to the party-like atmosphere of the aftermath - drinking, cavorting, and dancing the night away as the police descend upon their corporate hideout, to the final, eerie SWAT team raid; a scene edited to emphasize the shocking power of each gunshot (often using repetition to maximize their impact from multiple points of view). That the young terrorists choose to hide out in the ultimate symbol of hollow capitalistic success, a skyscraper shopping mall, is no coincidence. That they seem to revel in its excesses, seemingly oblivious to their own hypocrisy, is no coincidence either. While Bonello never clearly states why they pulled off such a massive terrorist attack, there are clues in their actions. It's a rage against a machine seemingly has no time for them, and no desire to listen to what they have to say. Nocturama never excuses the actions of its protagonists. But it does examine the seeds of radicalism, and its destructive consequences, with clear eyes and a cold heart. By the time the inevitable state reprisal finally arrives, we still know nothing of the motives of the young radicals, and we realize that the world at large will never know either. Robbed of a voice, they act out in the only universal language - violence. The shocking violence of the response only helps to cement their powerlessness, and perpetuate a cycle of violence where there could have been dialogue and understanding. 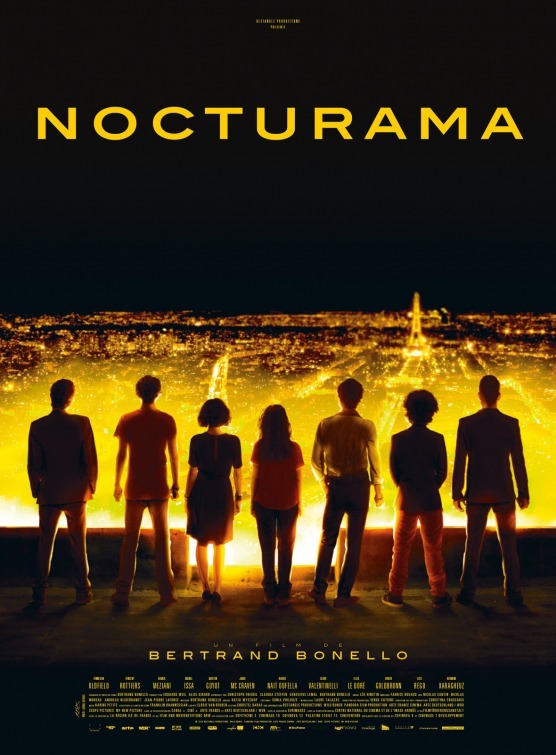 While the terrorism displayed here bears little resemblance to modern terrorism as we know it, Nocturama is still a chilling look at the cyclical nature of violence, and the failure of governments to listen to their people. 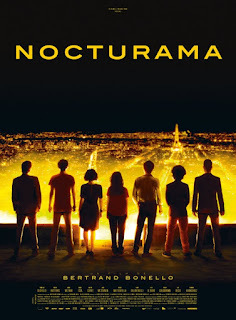 NOCTURAMA | Directed by Bertrand Bonello | Stars Finnegan Oldfield, Vincent Rottiers, Hamza Meziani, Manal Issa, Martin Petit-Guyot, Jamil McCraven, Rabah Nait Oufella, Laurie Valentinelli | Not Rated | In French w/English subtitles | Now playing in select cities. Blu-Ray Review | "Beggars of Life"